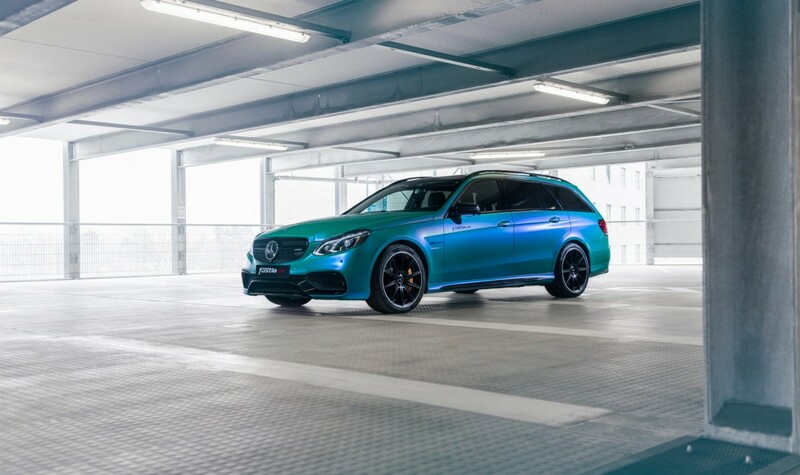 The Mercedes-AMG E63 S Estate, that is already a beast at 577 horsepower, has just been upgraded by Fostla. For €9,000 ($10,320 dollars), the owner gets some extra power under the hood. You’d probably expect the Wagon E-Class to be just the right family car. Well, not when it’s got the AMG letters keeping company to the rest of the name engraved on the rear of the car. Besides, there’s an S proudly shining back there as well and now, the car has just come out of the hands of the Fostla experts. 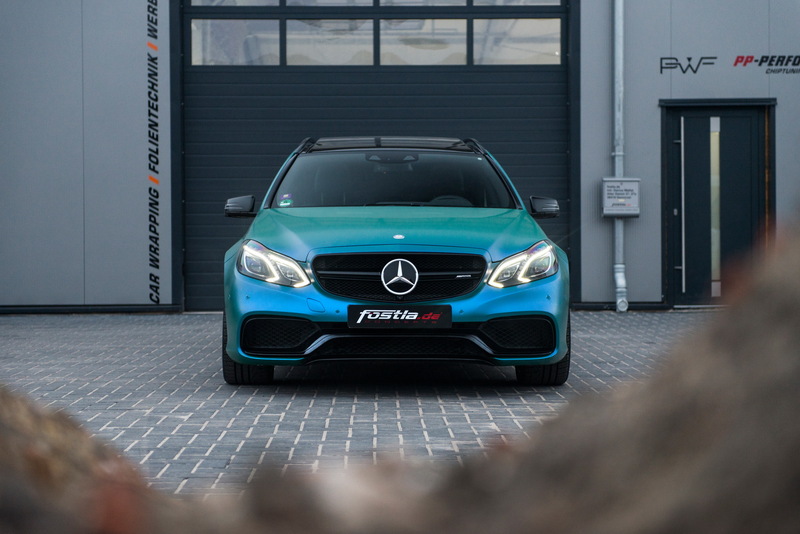 They granted it an aquamarine shade, provided by a vinyl wrap that goes by the name of “Matte Caribbean-Satin”. But the color wrap is just about the last thing we should care about. The turquoise vehicle now hits 690 horsepower and 1,055 Nm of torque, from the standard 577 HP and 800 Nm, respectively. The output boost is based on a level 2 chip tuning provided by PP-Performance, which makes the car run 0.15 seconds faster from 0 to 100 km/h: 3.45 seconds. From the electronically limited top speed of 250 km/h, the Estate now goes as far as 310.